What is Reiki? I always say, set up 2 appointments (my Amethyst package) and try it, but put simply, it is a Japanese technique for stress reduction, relaxation, working with the energy in the body- supporting the body’s ability to let go of what the body is holding energetically to a better sense of balance, finding one’s true state of being. Rei is life force and ki is energy. 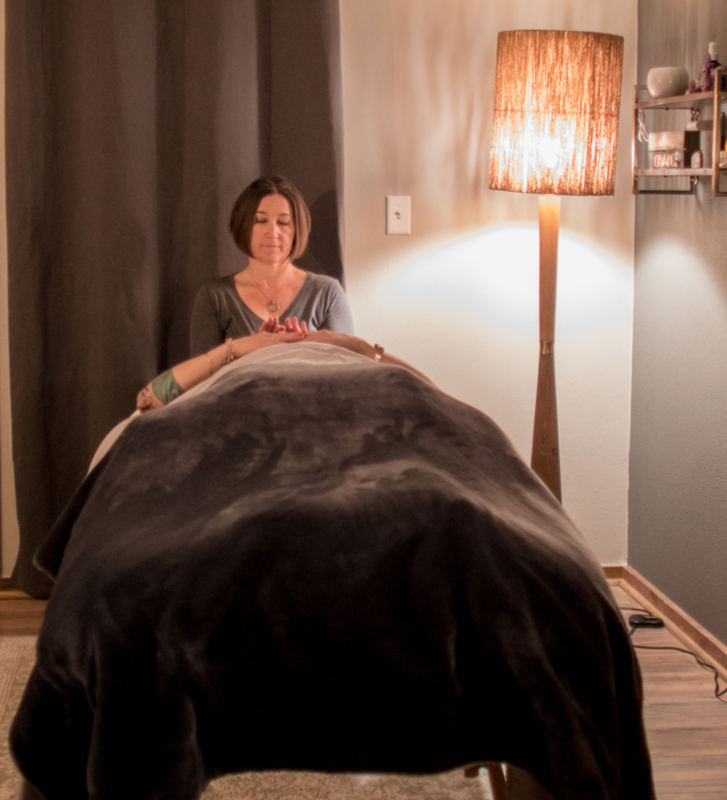 I am a Reiki Master Teacher, which means that I share Reiki one-on-one with clients, and I teach people in weekend workshops to be able to do Reiki. I always say to give it a try, as it is hard to describe. I feel like I released a lot of heaviness. The pain in my shoulder is gone! That neck thing, it disappeared! I feel as relaxed as if I had 5 massages all put together. This is the most relaxed I have been able to feel in 2 weeks. I am more aware of my intuition and I’m trusting it! I am able to focus and take better care of myself- taking time for tea and journaling like I didn’t before. I am neutral to my husband’s depression, I don’t get depressed for him. I have been able to speak my truth easier. I don’t get so angry about my ex-husband anymore. The hip I was told would “have to be replaced” doesn’t hurt anymore. My digestion is working again! I am noticing when I get triggered by others and I am able to take a pause and release the energy/emotion moving through my body without reacting. You can and you will dance in the eye of the hurricane of life.